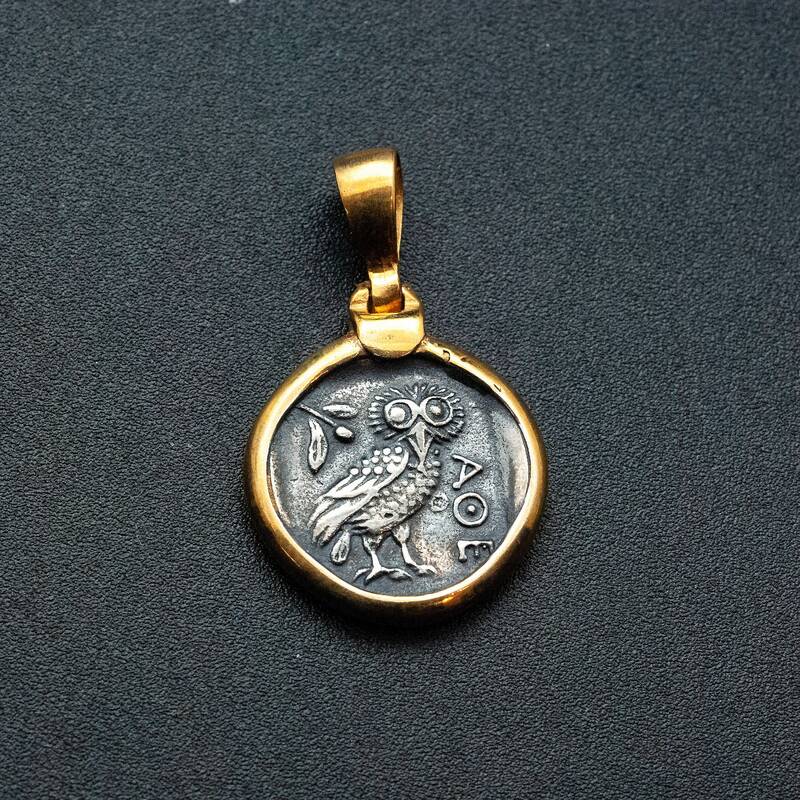 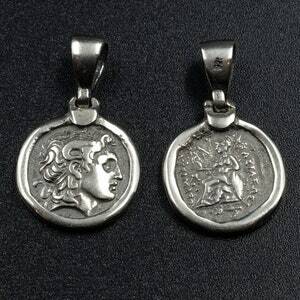 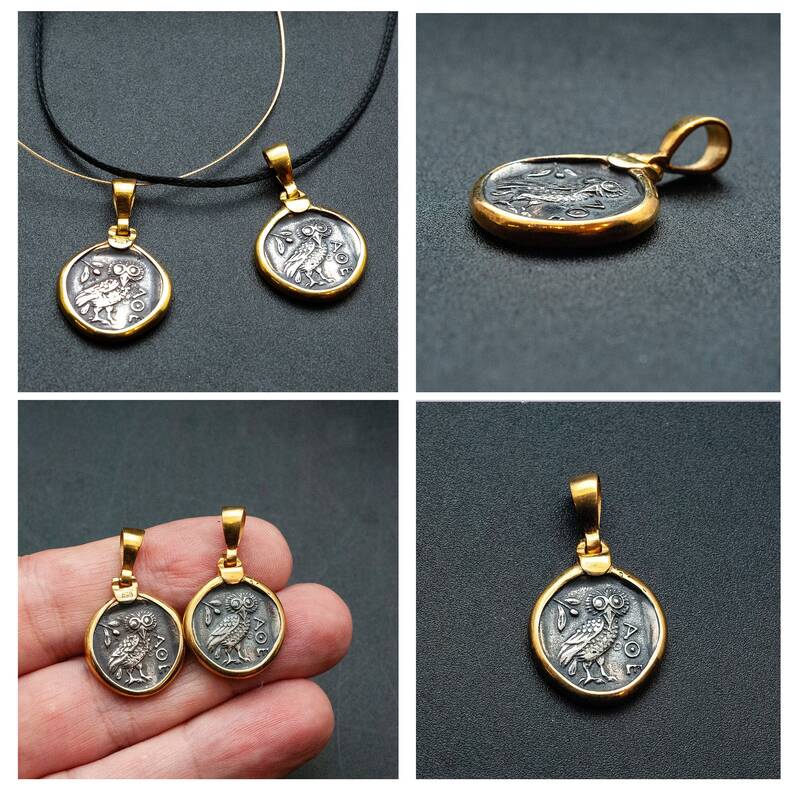 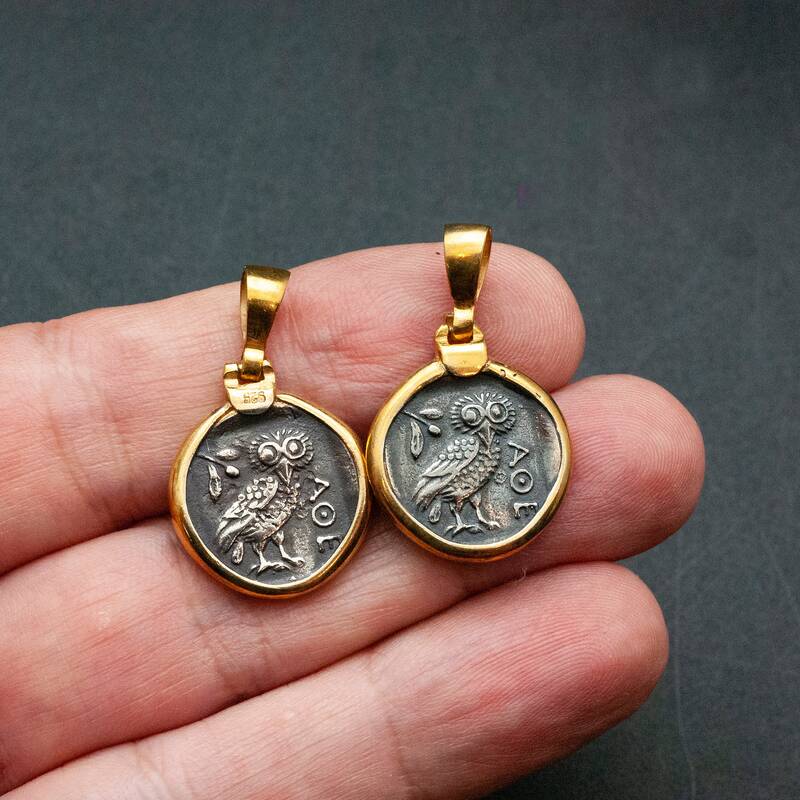 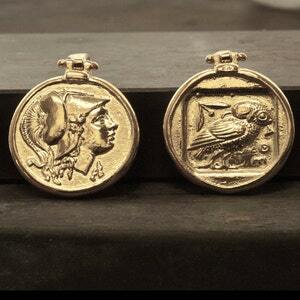 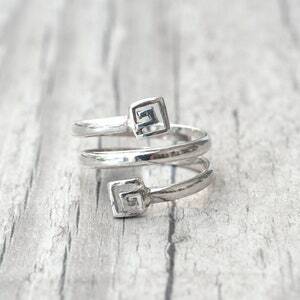 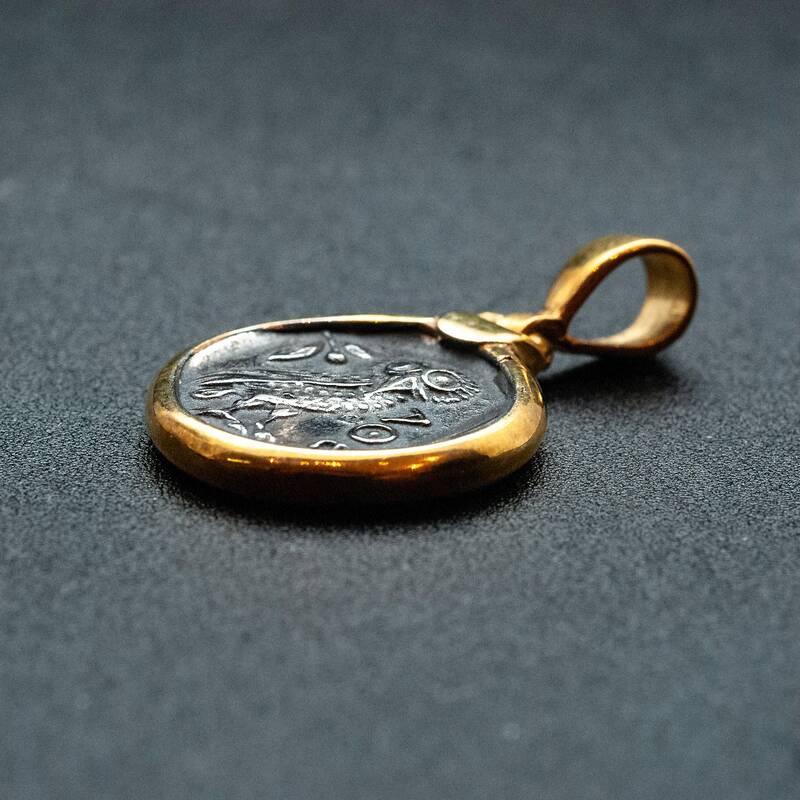 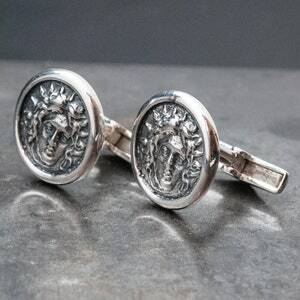 Museum replica of Tetradrachm of Athens, (5th century BC) in 925 sterling silver. 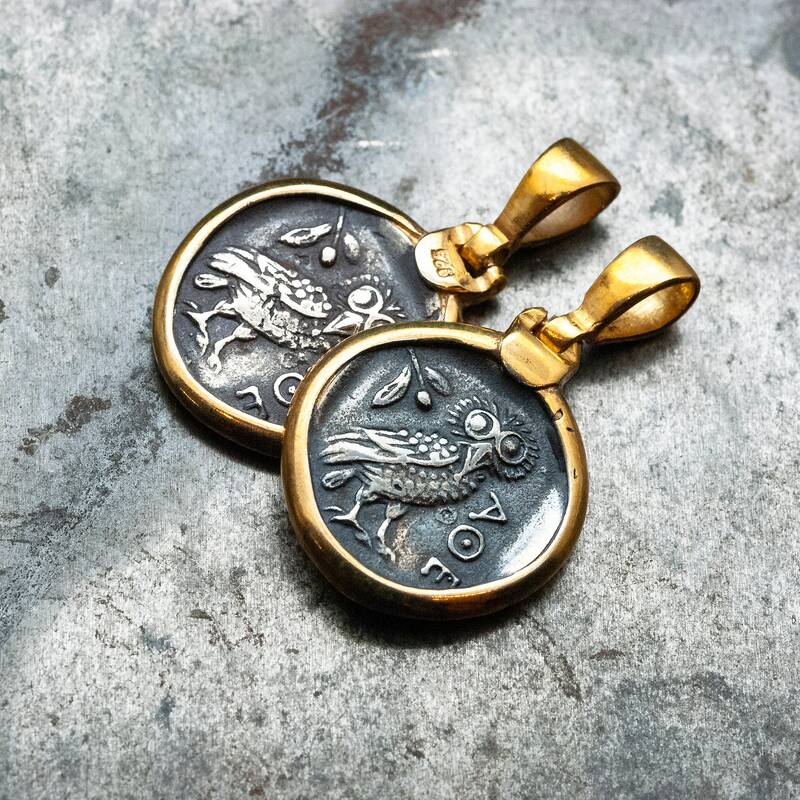 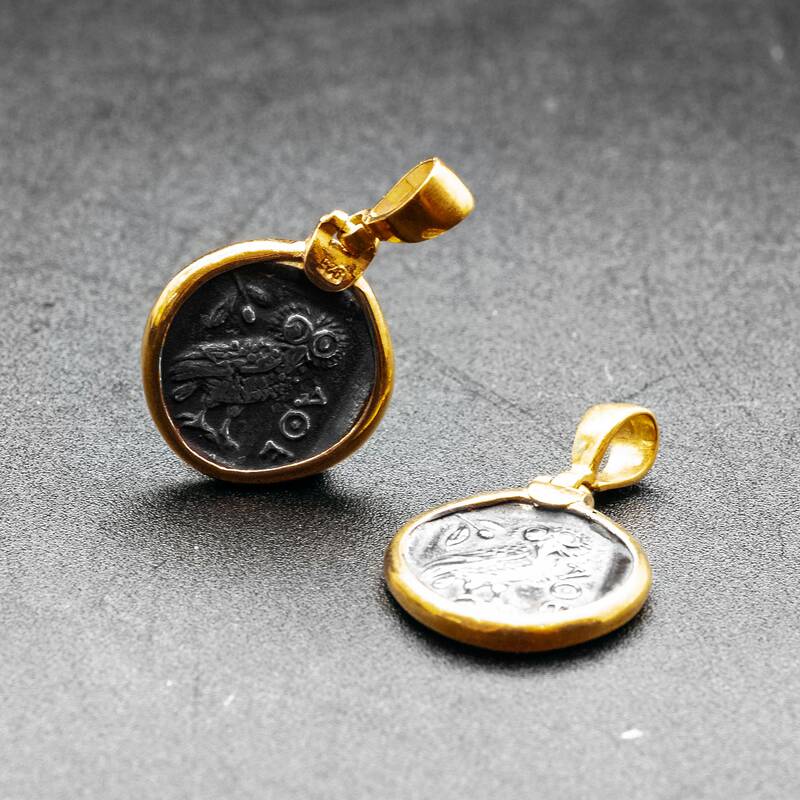 Pendant hanger and disc bezel setting in 925 sterling silver 24 karat gold plating. 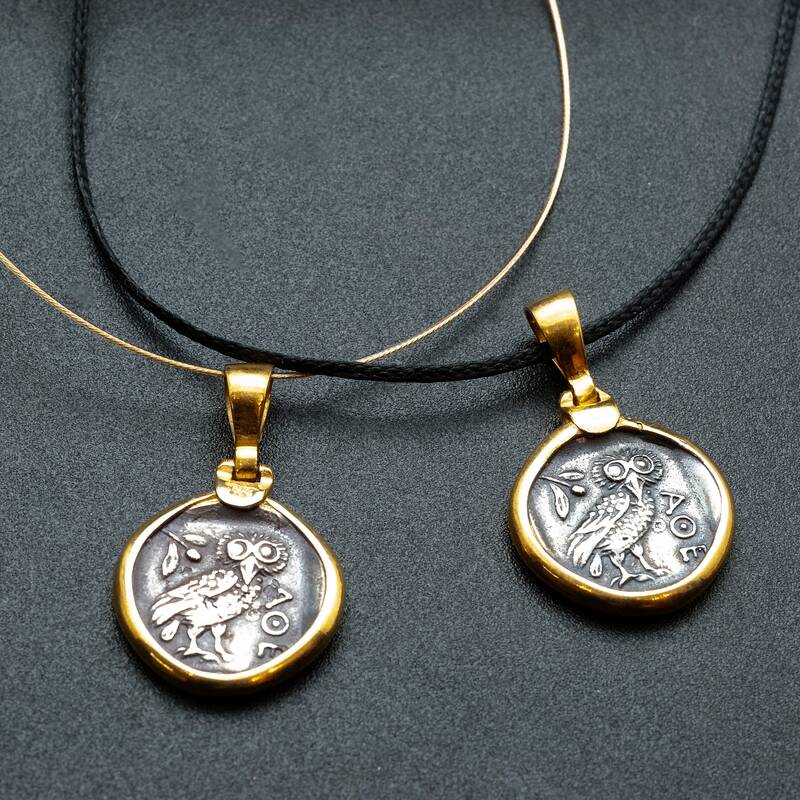 The pendant comes on gold nylon coated wire necklace with sterling silver spring ring closure or black thread with macrame closure in adjustable length.